1986 BOT. School of Occupational Therapy, Hebrew University, Jerusalem. 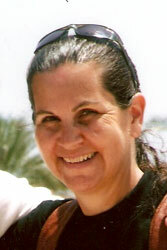 2005- Now Head, research and information center, The Knesset, Jerusalem. 2003-2005 Director, Research Department, Research and information center, the Knesset, Jerusalem. 1999 Director, Parliamentary Research Committee on the Implementation of the Health Insurance Act, the Knesset, Jerusalem. 1997-2003 Director, Committee of Labor, Social Affairs and Health, the Knesset, Jerusalem. 1993-1997 Advisor to Ministers of Labor and Welfare (Ora Namir and Eli Yshai). Avrami. S. (2009). The hierarchy of bereavement in Israel. In: Terror and Suicide. Nova Science publishers. Rimmerman, A., Avrami, S. and Araten, T. (2007). Policy towards persons with disabilities: from social legislation to rights legislation. In: U. Aviram, J. Gal and J. Katan (Ed). Formulating social policy in Israel – Issues and trends. Taub center for social policy research. Avrami, S. (2005). Estimating the Israeli parliament research and information center. In: R. Lustig (Ed.). Between field and theory. Ben Gurion University Press: Israeli Association for Program Evaluation (pp. 141-147). Avrami, S., Weis-Gal, I, and Gal, J. (2008) Involvement of social workers in parliamentary committees activity. Society and welfare (Hebrew). Rimmerman, A., Tal-Katz, P. and Avrami, S. (2007). People injured in acts of terror in Israel and the United states: A comparative review and future recommendations. Social security 73, 41-68. Chernichowski, D., Sofer, S. and Avrami, S. (2004). Voluntary insurance in the medical public system in Israel. Jerusalem: Knesset research and information center. Chernichovski, D., Sofer, S. & Avrami, S. (2004). “Private insurance in Israeli medical services.” Knesset: Research and information center. Chernichovski, D., Sofer, S. and Avrami, S. (2004). The capitation mechanism and public allocation to health serviced in Israel. Knesset: Research and information center.